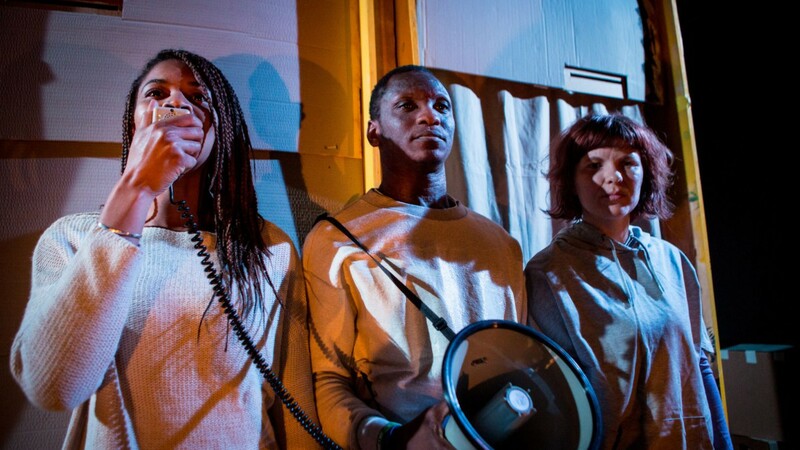 Founded in 1994, Camden People’s Theatre is one of the UK’s most influential small venues offering year-round support to emerging artists working in the field of innovative theatre. CPT programmes the annual Sprint festival of new and unusual performances, runs the artist development / peer network scheme Starting Blocks, and brings a wide range of adventurous theatre and arts activity to its west Euston community. Its mission is to refresh and strengthen the performance sector with the next generation of contemporary artists and audiences. We supported CPT in 2013 to develop its artistic programme, including supporting two new commissions: a co-commission with Birmingham MAC, The HS2 Project and This is Private Property, running as part of the Whose London Is It Anyway? Season in early 2016. Our funding is for the sustained support of emerging theatre makers from conception of the work through to production, a process often split amongst various organisations and locations. The project will run over three years and the artists will work closely with Camden People’s Theatre throughout. The first company selected to participate in the project was Milk Presents for their new show Bullish. So Many Reasons, by Racheal Ofori and Fuel headlined the ‘Calm Down, Dear’ festival in January 2018. Gwei Mui / Ghost Girl 鬼妹, by Jennifer Tang presented in partnership with Chinese Arts Now in January 2019. The Elephant in the Room, by Lanre Malaolu that will be presented at CPT in April 2019.